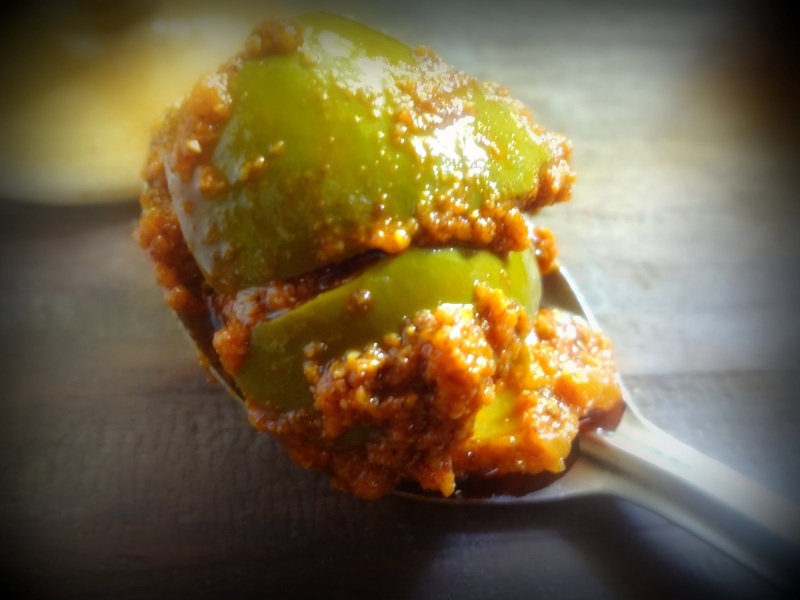 Aavakkai oorugai as it is called in Tamil is raw green mango pickle made every summer by almost all households in Tamil nadu like other states. 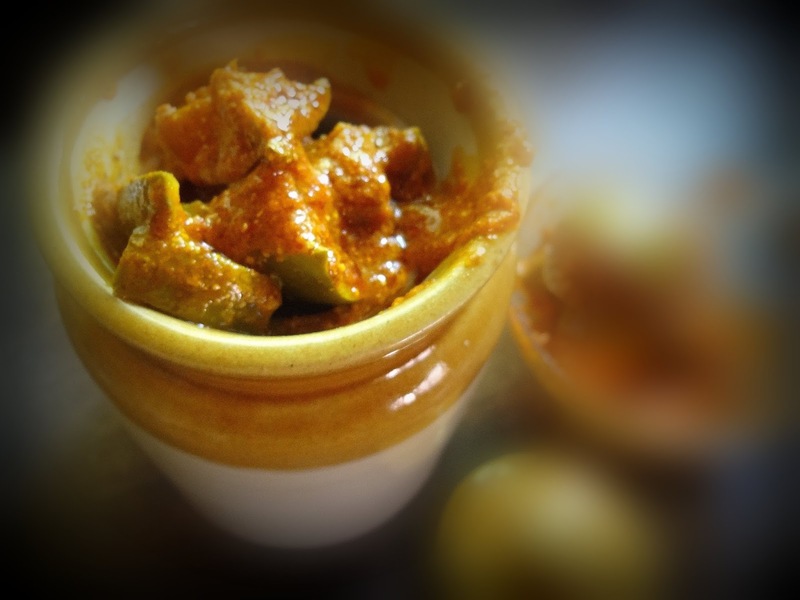 Every family has its special blend of spices and method. 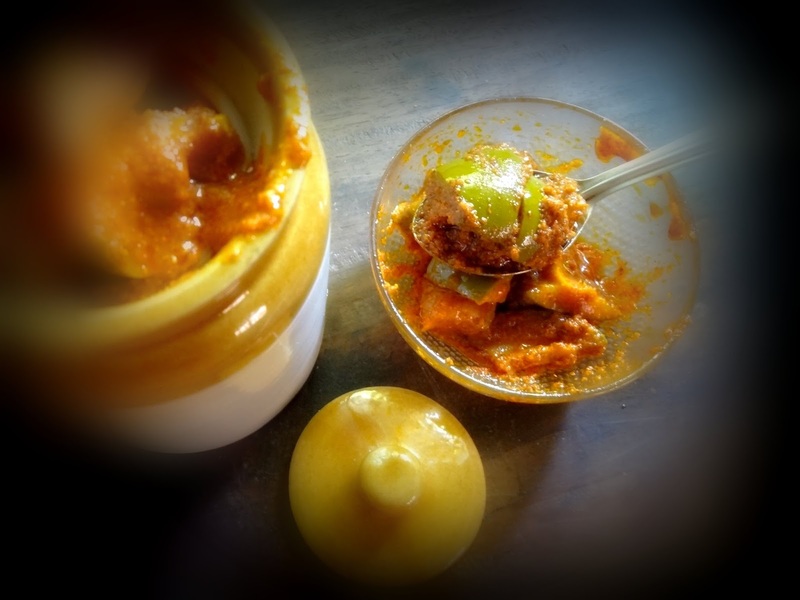 I usually make small batches of this pickle as we are not a great pickle consuming family and need it very little in quantity as we also have other varieties of thokkus also in stock so this pickle is made in a small batch as and when I get the firm green avakkai mango . During the season I make a large batch which lasts upto 4 months. 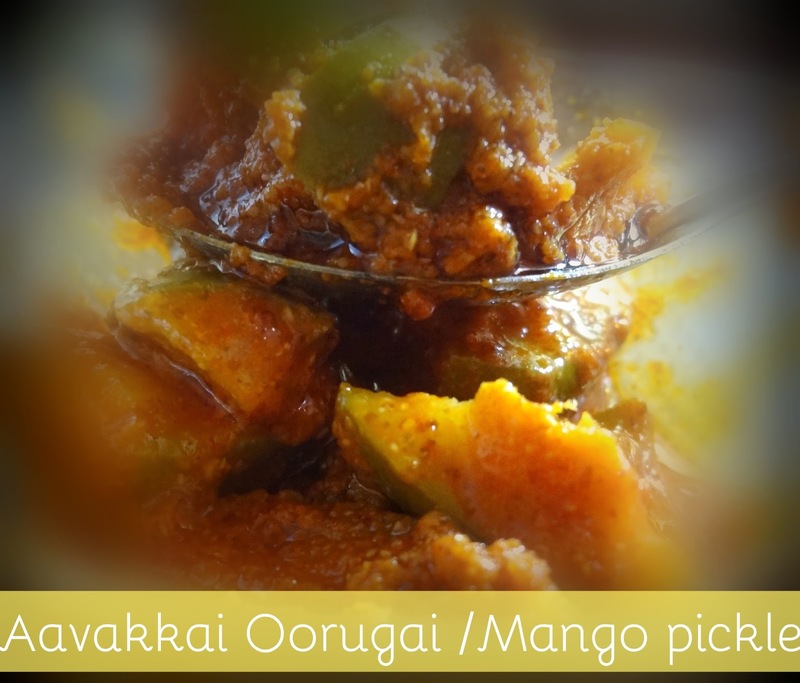 Sometimes depending on the quality of mangoes I prefer to make small quantities to avoid spoilage. Make sure that every piece of mango cut will have a piece of kernel attached. 3/4 cup mustard seeds powder. Dry roast and powder the mustard seeds. 2 tbsp methi seeds, use either as a powder or as a full seed. First mix the dry masala powders well. Mix mustard seeds powder, red chilli powder,turmeric powder and salt. Take a glass bowl or a good vessel or any ceramic jar. Then take some masala powder and spread on the base of the bowl. Now take some pieces of mango . Coat the mango pieces with oil and then mix with the prepared masala powder in the bowl. Keep layering remaining mango pieces in this manner each time coating with oil, smearing with masala powder and layering on top. Lastly pour the remaining oil on top and keep jar covered. After 48 hours you will see, the mangoes leaving water and becoming moist. Now we need to mix with clean dry spoon or ladle gently turning over, if it appears dry, then add little more oil and after mixing well, keep a layer of oil on top and cover well. Keep the jar in a dry col place and after 10 days or less we will get ready to eat mango pickle.